Health policy has become a contested arena for political and social debate over the last two decades. 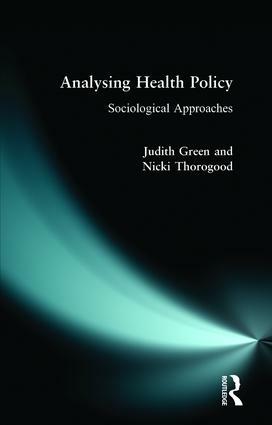 Analysing Health Policy: Sociological Approaches is an accessible text which places empirical research findings within the context of both contemporary policy debates and general approaches to policy analysis. Using illustrative material from research in health care, this book examines key issues in contemporary health policy and the sociological debates that surround them.